← Fondo Telemaco: quando si può riscattare tutto? I already wrote a post on Location History Google service., acrtivated by default on every smartphone (possibly aftyer having agreed to some of the sder I got a new Android phone (Galaxy A7) and I register in it with my Google account. Then I configured Gmail to get not only my email but also those of my family members … and doing so, I registered in some way also their accounts on my phone. Then I noticed that going to Location History Google service, it traces a merging of the positions of all my family members. Therefore, how to have traced only positions of one phone, that is the one owned by the person, regardless of whether his account is registered on multiple smartphones? 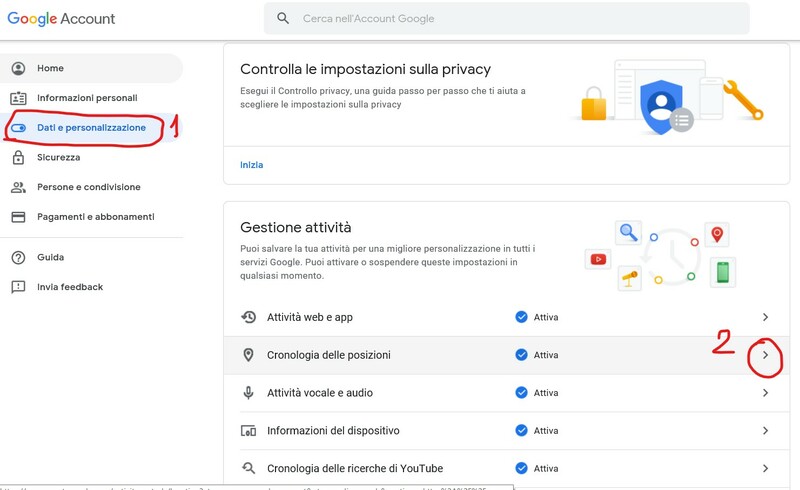 One easy way could be to enable the localization and google tracing service only on that account and disable on all the others … but possibly this is not what you really want! 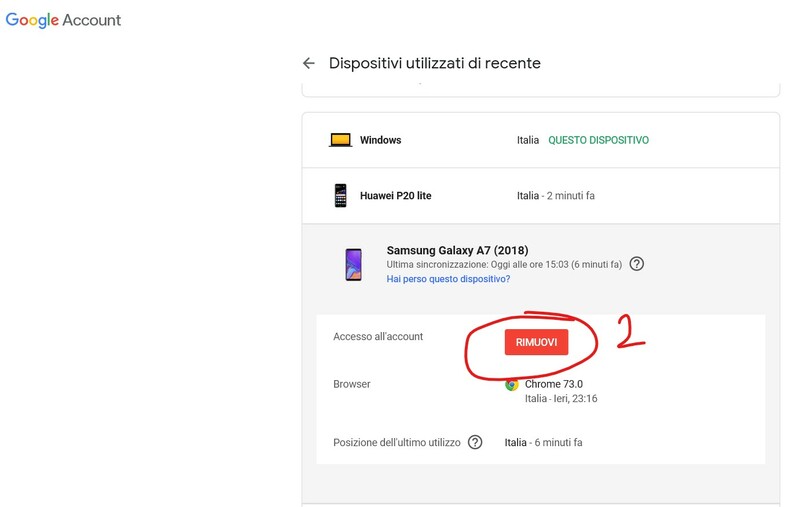 A second solution could be to remove, in the Google Account My devices section, all the devices that are not belonging to each person: so I removed from my family members accounts the my new personal Galaxy A7 that I found listed also there. 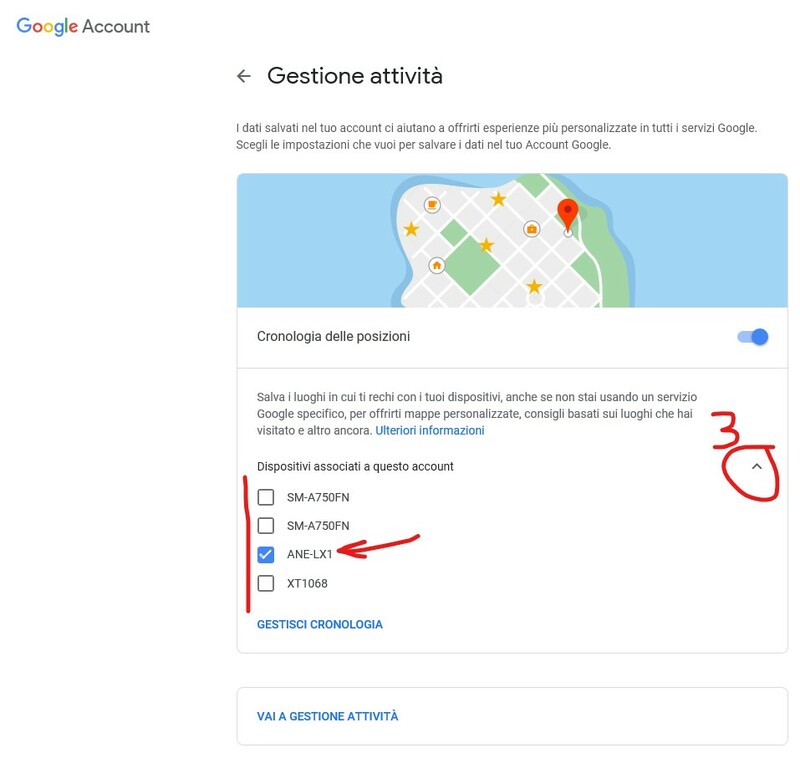 However never this one is the best solution because if you need to access to some Google service associated to an other account where you removed your phone, you have to authenticate that person again and everything come back as before (so your smartphone is listed again among the ones of that person in his Google profile). The solution requires to check only some device (possibly only one) for Location Reporting setting among all devices where you’re signed in. 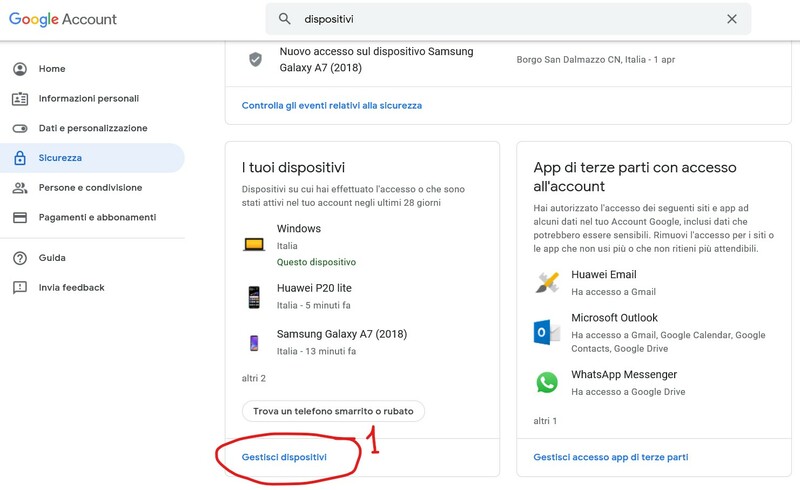 Unfortunately this option is not very noticeable because you need to open an hidden section called Devices on this account (IT: Dispositivi associati a questo dispositivo) available in the Activity controls (IT: Gestione attività) folder. Enabling the Location Reporting only on the really owned device allows the others family members to register also your google account on their phones and so having registered even their phone as one of your devices … but this does not imply a merging of positions anymore! When Location History is on, Google only receives Location History for each device where you are signed in and you have Location Reporting turned on. Report your location from only some of your devices, but not others. Report your location from all your devices. Turn off Location History for your Google Account. Your location won’t be reported from any of your devices and you will not have new Location History recorded to your account. Your settings for other location services on your device, like Google Location Services and Find My Device, are not changed. On additional option, if your need is only to access family member emails, is to use the Delegate option available in Gmail accessed from browser. Unfortunately this feature is not available using the Gmail app so you have to configure it only through a browser, possibly using your PC. Questa voce è stata pubblicata in Review e test, Tecnologia, Windows Phone/Mobile. Contrassegna il permalink.